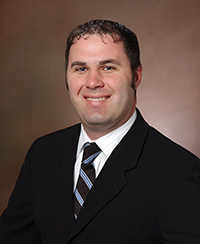 Dr. John J. Picard is Bay City's leading periodontist. After attending the University of Michigan for his undergraduate degree, he received his Doctor of Dental Medicine degree from Nova Southeastern University for Dentistry in Ft. Lauderdale, FL. Because of his passion for periodontal surgery and implant placement, Dr. Picard participated in a Periodontal residency at the University of Colorado in Aurora, CO and received a Master of Science degree upon completion. In order to stay at the forefront of his field, Dr. Picard participates in numerous continuing education courses throughout the year, including the prestigious Dr. Carl Misch Surgical Implant Institute. Other courses he has completed include the Minimally Invasive Soft Tissue Grafting for Teeth & Implants course led by Dr. Pat Allen; Predictable Anterior Implant Esthetics: The Ortho, Perio, Restorative Connection led by Dr. Joseph Kan; and Dr. Lyndon Cooper's course, Esthetic Excellence in the Dental Implant Era. When he's not in the office, Dr. Picard can be found golfing, skiing, traveling, or brushing up on his American history. He is also an avid college sports fan. Dr. Picard looks forward to meeting you and taking care of your smile. Call today to schedule an appointment. Michelle received her Associate’s Degree in Dental Hygiene from the University of Michigan. She has extensive knowledge in periodontics, having worked in the industry for the past 36 years. She raised her family in Kalamazoo, MI, but then returned to Midland, MI to be closer to her parents. When she’s not at work here at Mid-Michigan Periodontics, she enjoys gardening, bicycling, and spending time with family. Mandy has been a dental office manager for 14 years. She’s proud to be a part of such a hard-working, wonderful team, and helps patients feel welcome at the Mid-Michigan Periodontics & Dental Implants office. Mandy was born here in Bay City, MI, though she’s called Ohio, Texas, Alabama, and Japan home as well. She enjoys traveling and camping with her two children, Jazmine and Kayden. In her free time, she also plays volleyball and golf with friends and family. Joyce received her Associate’s Degree in Dental Hygiene from Delta College. She also has a license in local anesthesia. Joyce has worked in periodontics for the past 32 years, and her expertise at Mid-Michigan Periodontics provides patients with quality care. In her free time, Joyce spends time with the 4H Horsemanship for Handicappers with her middle daughter, who has special needs. She also serves on the board for the Women’s Outdoors Sports Associate. Joyce is always outdoors, either camping in the summer or snowmobiling in the winter. She enjoys practicing her skills with firearms, as well as line dancing and spending time with her husband of 28 years and children. Julie has been working in general dentistry for over 20 years. It wasn’t until recently Julie was able to pursue her passion in periodontics, joining a wonderful and dedicated team. Julie enjoys camping and golfing with her family and friends, while spending most of her free time with her husband Brian and two children Morgan and Meredith.